ANSI, which stands for the “American National Standards Institute”, has served as coordinator of the U.S. private sector, voluntary standardization system for more than 90 years. 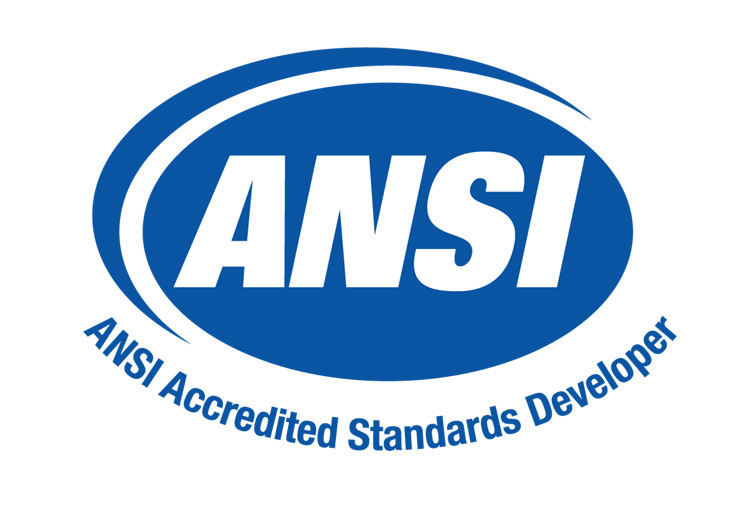 ANSI’s mission is to enhance both the global competitiveness of U.S. business and the U.S. quality of life by promoting and facilitating voluntary consensus standards and conformity assessment systems, and safeguarding their integrity. Through its members, staff, constituents, partners and advocates, ANSI responds directly to the standardization and conformity assessment interests and needs of consumers, government, companies and organizations. ANSI coordinates the U.S. voluntary consensus standards system, providing a neutral forum for the development of policies on standards issues and serves as a watchdog for standards development and conformity assessment programs and processes. The federation also accredits qualified organizations, whose standards development process meets all of ANSI’s requirements, to develop American National Standards. However, ANSI itself does not develop standards. In addition, ANSI represents U.S. interests in regional and international standardization activities while overseeing conformity assessment activities that promote the global acceptance of U.S. products, services, systems and personnel. Openness – The ANSI process is fair and open. Any materially affected and interested party shall have the ability to participate. Balance – Participants should represent diverse interests and categories, and no single group should have dominance in standards development. Due Process – All objections shall have an attempt made towards their resolution. Interests who believe they have been treated unfairly have a right to appeal. Consensus – Agreements are reached when more than a majority, but not necessarily all, of the participants concur on a proposed solution. Standards play an important role in everyday life. They may establish size or shape or capacity of a product, process or system. They can specify performance of products or personnel. They also can define terms so that there is no misunderstanding among those using the standard. As examples, standards help ensure that film to fit our cameras can be purchased anywhere in the world, that a light bulb fits a socket, and plugs for electrical appliances fit outlets. With standards, our homes, workplaces and public buildings are safer from collapse, fire and explosion.